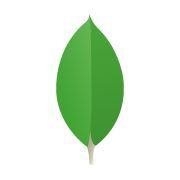 Do you have an idea to improve MongoDB Charts? First check to see if it's already been suggested. If not please describe your idea with enough detail for others to upvote and the Charts team to build! One of the selling points for Qlik is the ability to have charts that resize depending on the screen size. I struggle a bit when resizing the screen and the charts don't resize. They should be responsive and adapt to the screen size! I noticed Charts uses the aggregation framework to generate chart data. It would be very useful to be able to also leverage $lookup to join in objects from other collections, and then use those joined fields as part of the Filters/Fields sections of the chart builder. We have currency in pennies. It would be nice if we could divide by 100 before graphing. And maybe round/trunc too? Th binning feature is fantastic! My only issue is that there isn't the ability to bin weekly. Our data is across Monday to Friday so every weekend bring a drop in our graph. Please add this feature ! If I change the chart type (e.g. a Line Chart) from Discrete to Continuous, it'd be nice if I didn't have to restart from scratch. Currently it erases my settings. After you define a KPI, will be awesome if you can color them: * By expressions: Red if number is less than 33. Yellow if number is grater than 34 and less then 50. Green if number is grater than 51. * By scale: A gradient from Red to Green (with yellow in the middle) and values from 0 to 100. * Static: Just color this KPI number purple. NOTE: Colors and values must be configured by user.